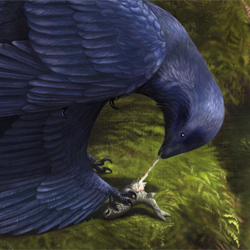 Microraptor is known to be a predator, but I think that a degree of omnivory in the animal is also highly likely. It's perfectly possible that one of the ~300 undescribed specimens of this animal may preserve plant matter gut contents. Hard to say. 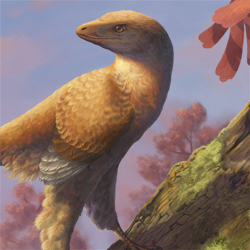 In any case, I think that Microraptor has certain features that are consistent with omnivory in maniraptorans, including having somewhat unusual dentition by dromaeosaur standards. An exploration of this idea can be found on my blog. 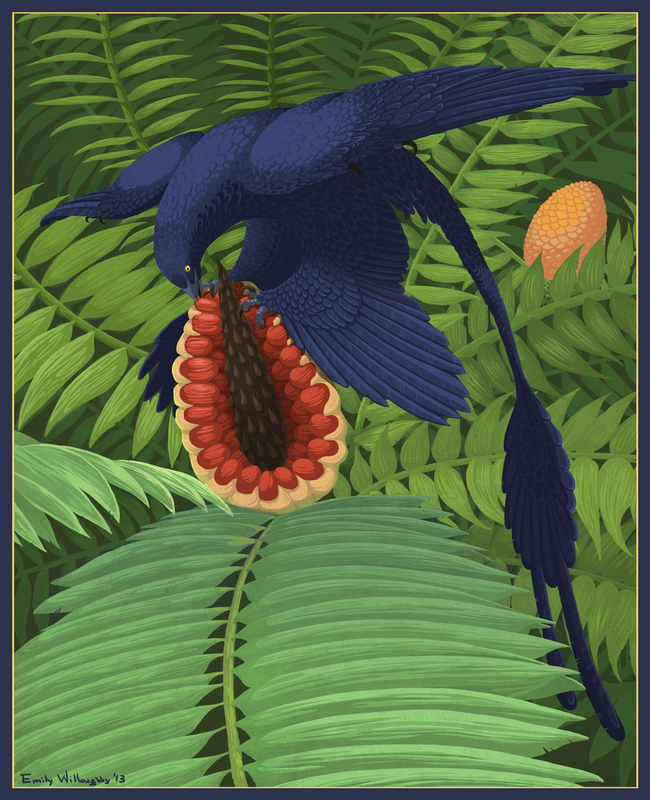 Here I've depicted it munching on a tasty cycad fruit.